Houston, TX, February 7, 2017– MORGAN, a leader in upscale multifamily development, construction and property management, has started construction on its latest Pearl luxury apartment development in Houston's Midtown district at 3120 Smith Street. The mixed-use project features a 40,000-square-foot Whole Foods Market on the ground floor and 264 residential units above the store. 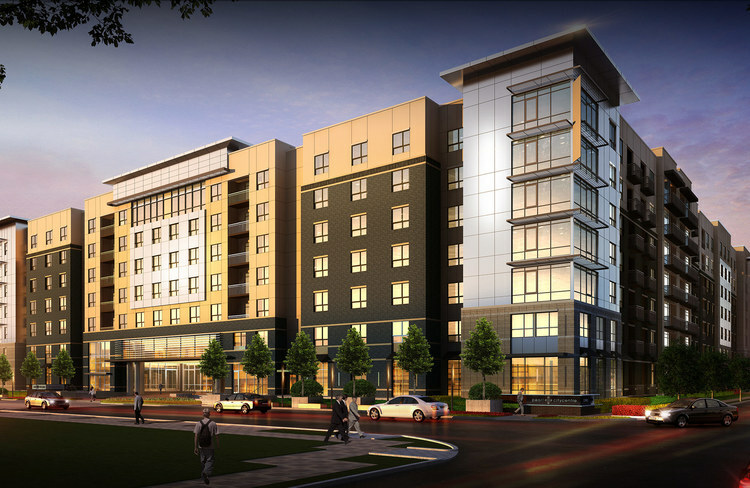 The new development, projected to open in 2019, is located across the street from MORGAN's first phase of Pearl Midtown, which opened in 2014. Residents of Pearl Midtown's second phase will have direct access to the Whole Foods Market below via elevator from the residential floors that opens into the store. Other premium Pearl amenities include a dog park and dog wash area, a bike storage room, an Uber waiting room, and a sky lounge that contains a catering kitchen with views of downtown. The new community also will boast a co-working space, which contributes to the live/work/play design of this flagship Pearl. The community's fitness center that overlooks the pool courtyard will offer ample cardio and circuit training equipment, as well as an outdoor yoga lawn. Other outside amenities include the large resort-style pool with a sun shelf, poolside cabanas, grilling stations and TVs. A secondary courtyard space showcases views of downtown. Units throughout the new Pearl Midtown feature open floor plans, hardwood flooring, gas cooking appliances, and great views of the Med Center, the Galleria and downtown. “We are very excited about the partnership with Whole Foods Market and breaking ground on this development," said Development Vice President Philip Morgan. "Having a top-tier grocer at the base of our new Pearl is going to be an extraordinary and unique amenity for future residents, and will make an incredible impact on Midtown Houston, downtown and the surrounding neighborhoods. MORGAN owns several developments in Midtown, and we have seen the neighborhood continue to evolve over the past 15 years. Whole Foods Market's brand and reputation will be a welcome addition to Midtown Houston." The project's architect is Ziegler Cooper with interior design provided by the Carnegis Group. MORGAN is a privately held national developer and manager of Class A multifamily properties. With headquarters in Houston, TX, MORGAN specializes in upscale urban construction and third-party property management across the United States. Since 1988, MORGAN has developed over 18,000 units at a cost of $2.3 billion with a $500 million project pipeline currently in development or under construction. For more information about MORGAN, visit www.morgangroup.com.